First it was the Great Barrier Reef, off Australia, which underwent extreme mass bleaching that placed the very existence of many corals there in jeopardy. Now it’s corals in the Chagos Archipelago, a smattering of 60 small coral atolls, in the Indian Ocean that are likewise experiencing the threat of death by mass bleaching. The cause: warming water temperatures brought on by climate change. Corals bleach by shedding the tiny algae that inhabit them and give them their flamboyant colors. They do so when they experience environmental stresses, such as rising water temperatures. 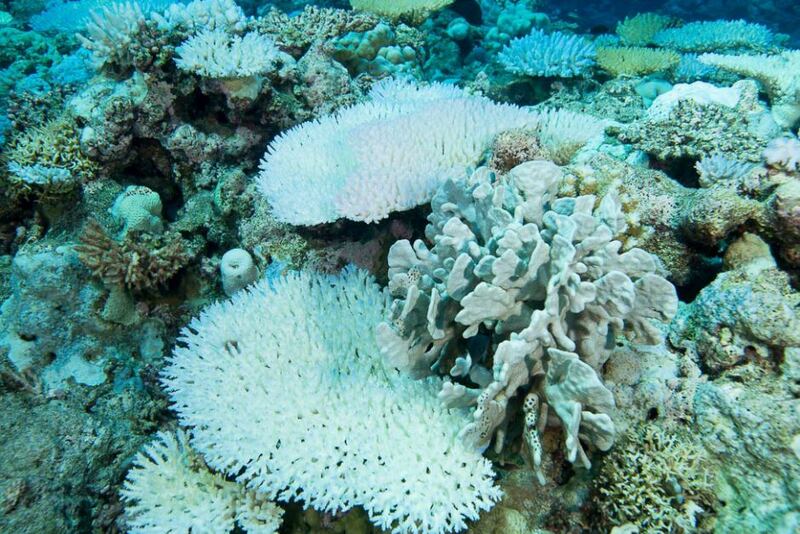 When they’re bleached, reefs become more vulnerable to harm and diseases. Stressed corals can recover from a mass bleaching episode but only if conditions for them improve. The fear is that what with the onset of global warming, reefs will come to experience periodical bleaching episode, leading to their eventual demise. The United Nations recently warned that more and more reefs in tropical water will be impacted by climate change in coming years. Between 2014 and 2016, the world witnessed the longest global bleaching event on record, with the hardest hit including Australia’s famed Great Barrier Reef, where some 90% of which underwent mass bleaching while 20% of corals perished. “If the reefs begin to die off in any way or erode, then of course these atolls are at risk. Erosion will begin to exceed growth, and we will see these islands begin to recede. That’s the natural way with atolls,” Turner said of the reefs in the Chagos Archipelago. [W]hat we have learned is that the big bleaching events that are caused by ocean warming have affected these reefs just like any other,” he added. Needless to say, warming water temperatures are bad news for Malaysia’s own beleaguered corals as well.